In India’s northeast, the Greenhub project is empowering indigenous youths to use video as a tool to forward forest conservation and social change. Tallo Anthony, from the project’s first batch, has been one of the most successful participants, winning several awards. The project strives to empower people living in remote areas of India’s northeast region, who don’t have access to technology and can’t afford to but are interested in and committed to using video as a tool for conservation. Greenhub also encourages women to participate, with two out of 20 seats in every batch reserved for women, and more female candidates welcome. RUPA, India — When Tallo Anthony joined the local forest department in 2011 as a computer operator after finishing high school, it wasn’t because he particularly liked computers. Nor did he have much interest in forests or wildlife. “I joined only because I was looking for a job,” he says. In fact, despite having grown up in Rupa, a town just some 40 kilometers (24 miles) from the stunning Eaglenest Wildlife Sanctuary in the state of Arunachal Pradesh, Anthony knew very little about the forests surrounding his home. He was content with having secured a job that gave him a stable income. This was important because he wanted to support his mother, who had singlehandedly raised him and his three siblings since his father passed away in 2008. His desire to help take care of his family was also why he hadn’t been able to pursue what he actually wanted to learn: photography and filmmaking. Anthony, who belongs to the Apatani tribe, kept his interest in filming alive by watching YouTube videos. “I learned about cameras, what it means to edit, how to edit, and so on, through online videos,” he says. “I even downloaded an editing software on my computer. I would go to the office during the day and practice editing at night.” Often this meant leaving the videos to render through the night, a process that would take several hours, interrupted frequently by power cuts. Juggling between his office duties and night-edited passion projects, little did Anthony know that he would soon become a celebrated name in the region. Tallo Anthony began learning about photography via YouTube videos. Image courtesy of Tallo Anthony. It started with a nature camp that Anthony was invited to observe a few months after joining the forest department. The camp, held near Eaglenest Wildlife Sanctuary and organized in part by the forest department, was meant to expose local schoolchildren to the biodiversity around them. It stirred Anthony’s interest in forests and wildlife, too. “It was then that I saw that there’s such a beautiful forest near Rupa,” he says. For three years, Anthony split his time between his office duties, studying for a bachelor’s degree in arts that he was trying to complete through a distance-learning course, and his video projects. In 2015, his passion received a significant boost. Seeing that Anthony was talented, and interested in conservation, Tasser pointed him to Greenhub, a project that had recently been launched in the city of Tezpur in neighboring Assam state. Greenhub is a collaboration between Dusty Foot Productions, a New Delhi-based media company focused on wildlife and environment films, and the North East Network, a women’s rights NGO based in the city of Guwahati, Assam. The project was looking to train youths from India’s northeast region to use video as a tool to understand and document the area’s biodiversity and communities. And that year, Greenhub had put out its first call for applications. Anthony, encouraged and supported by Tasser, applied. Two interviews later, he was one of the 20 people selected for a year-long fellowship. Today, Anthony, 27, is one of Greenhub’s most exceptional fellows, says the project’s director, Rita Banerji, a wildlife filmmaker who’s worked in the northeast region for several decades. For many of the fellows, though, Greenhub’s program presents their first foray into the world of filmmaking. That’s the case for 21-year-old Shaleena Phinya. Phinya lives in Singchung, the main village of the Bugun tribe, one of the indigenous communities living around Eaglenest Wildlife Sanctuary. Part of the latest Greenhub batch, Phinya is the first woman from the Bugun tribe to venture into wildlife filmmaking. “From the Greenhub point of view, she’s a very, very important fellow because she can change perspectives about women in the field within her community,” Banerji says. In fact, Tasser says they had to literally go door-to-door in Singchung to look for this year’s Greenhub candidates. “The patrolling team boys of the Bugun community reserve, who are all from Singchung, helped us find Shaleena,” he says. Researchers working around Eaglenest then helped Phinya prepare for the interview, and they continue to mentor her even now. As for Phinya, honing her video skills in Eaglenest has proved exciting in many ways. Just last month, she encountered a lone elephant while traveling through Eaglenest by motorbike with two members of the patrol team. The elephant, visibly spooked, let off a loud trumpet, while Phinya and the boys dropped their bikes and ran for cover, spending the rest of the evening hidden by the side of the road until help reached them after midnight. 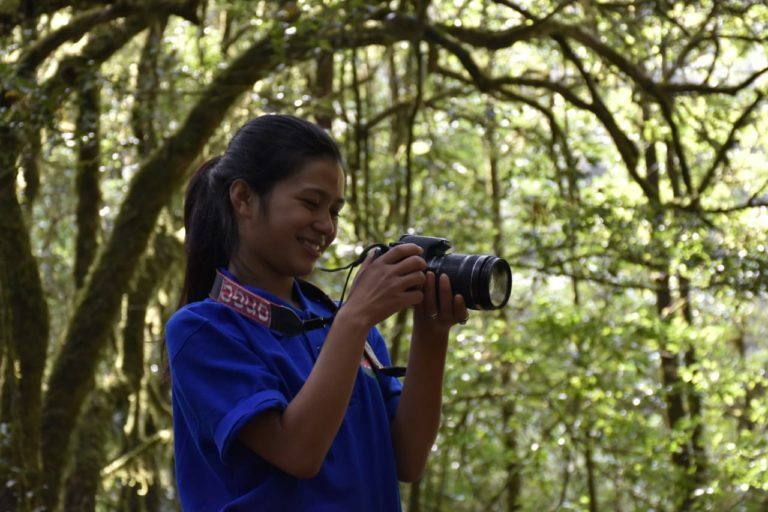 Shaleena Phinya is the first woman from the Bugun community to venture into wildlife filmmaking. Image courtesy of Shaleena Phinya. Like Phinya, all Greenhub fellows are exposed to practical training right from the start. They spend the first three months learning photography, videography, editing, storytelling, and sound-design skills from some of India’s noted filmmakers and photographers. They then spend the remaining months of their fellowship interning with different organizations and creating short documentary-style films, for a monthly stipend of 4,000 rupees ($54). The process goes something like this: The fellows go to the field site of the organizations they are interning with; they shoot footage for a few weeks or a month; then they return to Greenhub where mentors help them edit their material. They repeat the cycle several times over the course of around nine months. Greenhub fellows have created films on a wide range of subjects. There have been films on threatened wildlife species found in the northeast, such as the pygmy hog (Porcula salvania), a critically endangered species found only in Assam, and the vulnerable black-necked crane (Grus nigricollis) that winters in Zemithang, Arunachal Pradesh, and is considered sacred by the Monpa community. There have also been documentaries on saving traditional millets, reviving traditional music and dance, the practice of cultivating fish in rice fields, and examples of community-led conservation initiatives, among others. During his time at Greenhub, Anthony, too, worked on a range of topics. In October 2015, Anthony went back to Eaglenest Wildlife Sanctuary for yet another nature camp for schoolkids conducted by the forest department and the Bugun Welfare Society, an NGO run by members of the Bugun tribe living near the sanctuary. This time, Anthony was listed as the official photographer. And this time, the video he made showcasing the activities at the camp won him a Young Achiever Award at the Woodpecker International Film Festival held in New Delhi in 2016. “I had gone to the film festival for the experience and good food, but when they called my name, I was very surprised,” Anthony says. It was only when the news of his award made it into the local newspapers in Arunachal Pradesh and was shared via WhatsApp that his mother realized that what her son had achieved was no small feat. “Even then my mother called me and scolded me for wearing a T-shirt to the stage. She said, ‘you should’ve worn better clothes,’” Anthony says while trying to stifle his laughter. Since graduating from Greenhub, Anthony has added several feathers to his cap. 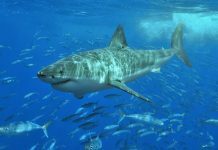 He was invited as a speaker at Nature inFocus, an annual nature and wildlife photography festival held in Bengaluru, the southern Indian city previously known as Bangalore, in 2016. This year, he was recognized by the government of Arunachal Pradesh for being a prominent young achiever in the state. 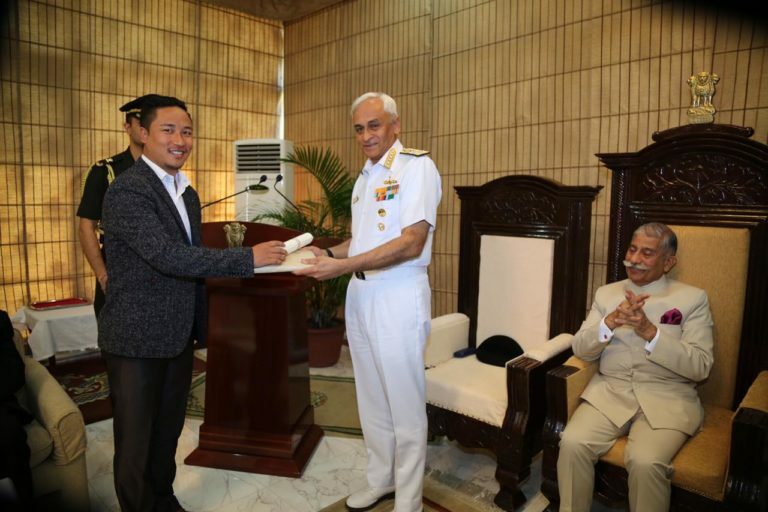 Tallo Anthony was recently felicitated by the Arunachal Pradesh government. Image courtesy of Tallo Anthony. Anthony has also teamed up with three other youths from his batch at Greenhub, one each from the states of Nagaland, Assam and Meghalaya, with whom he has formed a group called Genesis4northeast. 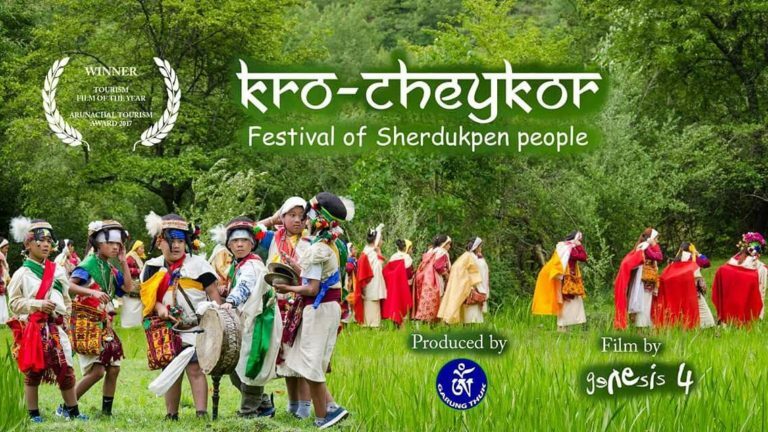 In 2017, the team won an award for making the best tourism film of the year at a tourism festival in Arunachal Pradesh. And this year, they wrapped up a film on the Bugun liocichla (Liocichla bugunorum), an extremely rare bird found only around Eaglenest Wildlife Sanctuary on land governed by the Bugun tribe. Genesis4northeast won an award for their tourism film. Image courtesy of Tallo Anthony. That’s Greenhub’s ultimate goal, too. 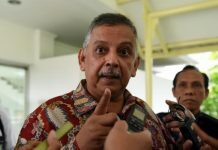 Banerji acknowledges that not every Greenhub fellow will become a filmmaker. But at the end of it all, the Greenhub network should forward conservation and social change, she says. Two Greenhub fellows are, for instance, working in Delhi with a web channel called Hind Kisan that covers rural India. In Mizoram state’s Dampa Tiger Reserve, fellow Zakhuma, a forest guard from a Mizo indigenous group, has made a film documenting Dampa’s biodiversity and threats, including the challenges of patrolling a park that shares an international border with Bangladesh. 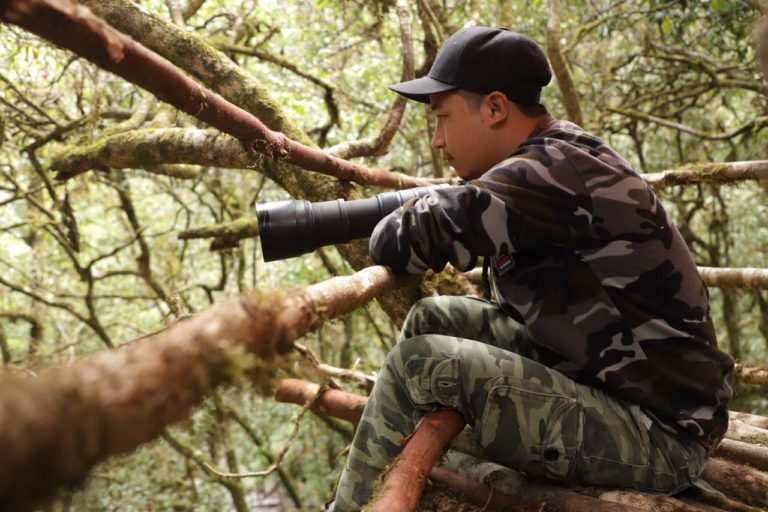 Similarly, Greenhub fellows Chandan Patro and Paro Natung, both anti-poaching staff at Pakke Tiger Reserve in Arunachal Pradesh, have made films showcasing the park through the eyes of the people who patrol it. Sital Dako, a field assistant with a research organization in Pakke, too, films the forest and villages surrounding the tiger reserve. Dako, who, like Natung, belongs to the Nyishi tribe, is one of the few female Greenhub fellows along with Shaleena Phinya of Singchung. Phinya, despite her encounters with elephants, says she isn’t afraid to go into the forest; she usually goes with the patrol team and she feels safe. What irks her, though, is when people say she shouldn’t be out in the field simply because she’s a woman. “My family doesn’t say much, but other people do,” Phinya says. At the same time, Phinya can see other young women and men from her village wanting to know more about her work. “One of my cousins, for example, now wants to do the Greenhub course,” she says. Banerji says her organization gets 30 to 40 applications from women every year, which is encouraging. Two out of 20 seats in every batch are reserved for women, while more female candidates are always welcome, she adds. 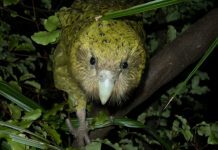 The Greenhub project is also very selective in choosing its fellows: it prefers people who live in remote areas, don’t have access to technology, and can’t afford to but are interested in and committed to using video as a tool for conservation. Video showcasing highlights from the Greenhub Project. Video courtesy of Greenhub. The project’s ultimate goal is to empower the youths from India’s northeast so they see the value in the natural resources around them. And video is a powerful tool to achieve that. Banerji also hopes eventually to use the videos that the fellows make to create a digital library of biodiversity-related footage from the northeast. “For example, if someone coming to the northeast wants to look at butterflies, we will have a systematized footage on butterflies that’s easily accessible to people,” she says. But with only three batches of Greenhub fellows having graduated so far, this will take time to achieve. Anthony, too, is taking baby steps at the moment. Since filmmaking and photography equipment is expensive, he’s been working on smaller projects and using the money from those to buy more equipment, although Greenhub does provide filming and editing gear at a subsidized rate for its alumni. Banerji, who invited Anthony as one of the instructors for this year’s Greenhub batch, thinks he should also work on films that he really wants to do. Banner image of Tallo Anthony courtesy of Tallo Anthony. Did you know Mongabay depends on donations from readers like you?